Following the astounding success of his premier UK solo exhibition - 'RAW' - in September 2015, Zhuang Hong Yi returned to Unit London in March 2017 with 'RAW II', a powerful body of works that further demonstrated the artist's boundless affinity with nature and the natural environment. Zhuang Hong Yi’s 2017 exhibition for Unit London included works that further demonstrated the artist’s use of two dominant yet distinct mediums. As well as the artist’s more traditional painting style using acrylic in heavily sculpted and gestural impasto, Hong Yi’s Flowerbed series was painstakingly produced with individually folded origami rice-paper flowers covered in colour-shifting layers of pigments and acrylic. From a distance the colours shimmer iridescently and as the observer moves across the work, the colours shift and change, transforming the image. From a closer vantage point, the meticulously twisted paper flowers and layers of paint take centre stage. The seamless and graceful blend of Chinese and Western cultural influences in Zhuang Hong Yi's work reflects his upbringing and education in China followed by years of European experience and inspiration since moving to the Netherlands in 1990, where he settled with his artist wife, Luluo. A love and admiration of flowers is evident through Hong Yi’s work and links the two dominant cultural influences of his life. While The Netherlands’ relationship with flowers is well documented - finding its most potent expression in the historic tulip mania of the 17th century - in China flowers are uniquely symbolic, representing growth, fulfilment and prosperous beginnings, as well as manifesting good chi. Recurrent in Hong Yi’s work are the lucky chrysanthemum and lotus flowers, signifiers of metaphysical purity and strength. 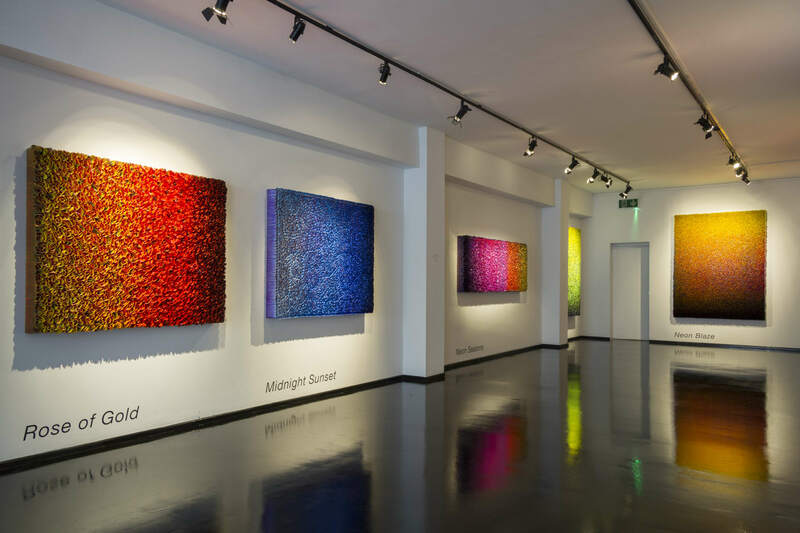 Even after decades of living in Europe, Zhuang Hong Yi maintains a studio in Beijing, where he returns a few times each year to work, collecting new materials and inspiration.